This wall mount light is made from the rockers of a diesel engine. 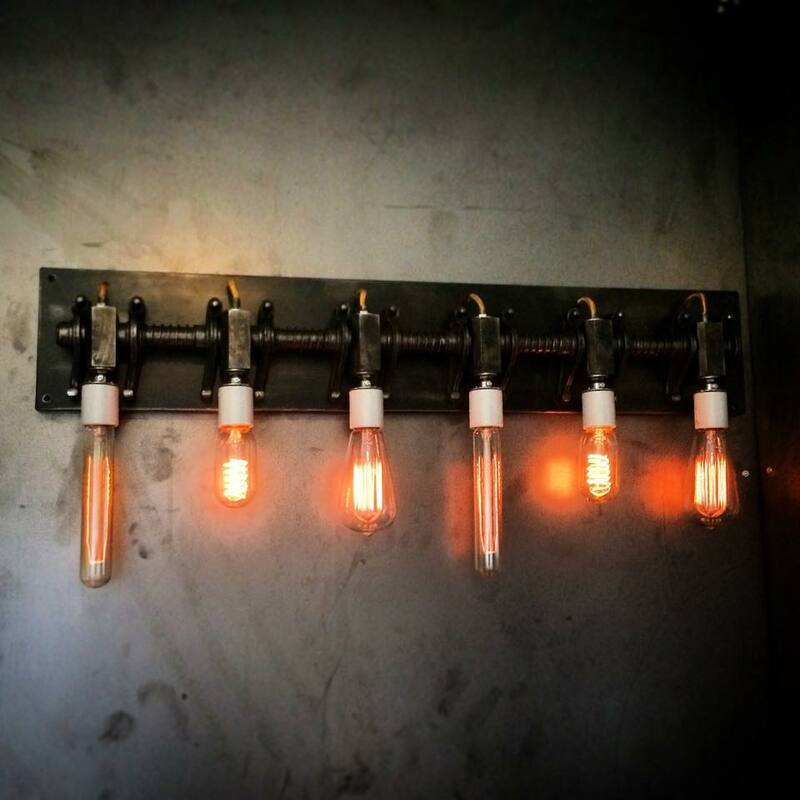 6 Edison bulbs make for a fun fixture. Finished in our “antique black” patina.